Border Patrol agents in the Rio Grande Valley Sector were assaulted by rock-throwing foreign nationals for the second time in a week. 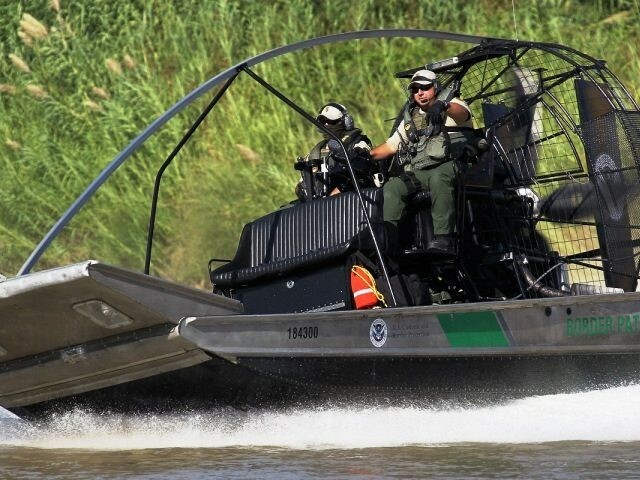 Agents assigned to the Weslaco Station Riverine Unit were patrolling near Hidalgo, Texas, when they observed several subjects on the Mexican side of the river. As the boat drew within range, several foreign nationals began throwing rocks at the agents, according to information obtained by Breitbart Texas from U.S. Customs and Border Protection officials. The agents did not respond with any use of force despite the threat of severe injury or death from the assault. The people on the Mexican side of the river eventually left the area. No damage was done to the boat and the agents on-board were not injured, officials stated. Just one week earlier, agents working this same area on Thanksgiving day faced a similar encounter, Breitbart Texas reported. In this incident, a group of three foreign nationals began throwing rocks at the agents on the riverboat. Again, no agents were injured and the boat was not damaged. The following day, a Border Patrol agent and a Texas Department of Public Safety (DPS) trooper were each shot near the border town of Fronton, Texas. The DPS trooper was shot in the leg and was transported by helicopter to a hospital in McAllen, Breitbart Texas reported. The wound was not life-threatening. Investigators could not initially determine if the two were shot intentionally or if they were hit by stray bullets from a gun battle on the Mexican side. Trooper III Denny Shaw, normally assigned to Kaufman County, was on temporary assignment to patrol the border and was working directly with Border Patrol agents when the shooting began. A bullet entered the trooper’s pelvic area and exited through his right thigh, Shaw’s wife Melissa told inForney.com. Kaufman County is located just east of the Dallas-Fort Worth Metroplex on U.S. Highway 80. A Border Patrol agent was also shot in the chest during the attack, but his ballistic vest stopped the bullet from causing severe injury or possible death. Breitbart Texas has reported extensively on assaults on Border Patrol agents. In recent testimony before Congress, the newly appointed chief of the Border Patrol, Mark Morgan, told Senators on the Homeland Security and Governmental Affairs Committee that assaults on agents are increasing. He also stated that 30 Border Patrol agents have died in the line of duty since 2003. As an example, Breitbart Texas reported that eight agents assigned to the El Centro Sector in southern California were assaulted by rock throwers during the first month of this fiscal year. Several agents sustained injuries including one agent who was struck in the eye socket.